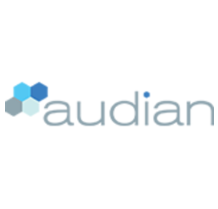 Audian is a voice and unified communications solution provider, with a unique suite of integrated services. If you need an advanced, dynamic, and instantly scaleable phone system, we can custom fit a package that's ideal for you. We have been in your shoes and understand that reliable telecommunications are vital to the operation of your business. With over eight years of experience in hosted telecom, our unique approach and exemplary service allows us to provide solutions that are simple and affordable. 0	jplist-folder-All-Posts-20239 Update-Update	jplist-topic-Softphone-Partnership	0	11/02/2018 14:20:55	Bria can be installed on nearly any phone, iPhone or Android as well as your Desktop or Laptop computer for enhancing communication. KIRKLAND, Wash. (October 25, 2018) – Audian, a Unified Communications solutions provider,announces its partnership with CounterPath, a global provider of Bria softphones for desktop, tablet and mobile devices, to add a new level of mobility to Audian’s hosted voice solutions. Designed to meet the needs of a growing number of businesses with mobile workforces, Audian will deploy CounterPath’s Bria Stretto solution into its existing hosted phone system, transforming each employee’s desktop, tablet and smartphone devices into an enterprise-grade softphone associated with their business number. Audian’s new softphone solution will extend voice, video, and secure messaging to customers, across any device (Windows, Mac, iOS and Android) and over any network (Wi-Fi, 3G, 4G), while remaining cloud-based and centrally managed. “As employees seek more freedom from their physical office, and work becomes more mobile, adding the leading softphone solution to our platform provides our customers and their employees with new opportunities to work when, where, and how they want,” said Brandon Bazemore, CEO of Audian. “The beauty of CounterPath’s Bria Stretto solution is that it integrates easily into our software-first approach to building voice solutions, ensuring we continue to add features, but remove the hassles typically associated with telecom.” Audian’s new softphone solution will provide customers’ employees with full access to voice, video, presence-enabled corporate directory, messaging and screen sharing, no matter where they happen to be (in the office, at home, or on the road). All CounterPath Bria Stretto softphones share the same unified User Interface regardless of platform (Windows, Mac, iOS, Android), with a common set of features, so users can seamlessly transition between desktop, tablet and smartphones for all their communications needs. “Audian’s responsive and modern approach to VoIP solutions is a perfect fit for our softphone solutions,” said Todd Carothers, EVP of Sales and Marketing at CounterPath. “The Bria Stretto solution has been purpose-built for our channel partners to offer a high-quality end user experience to small, medium and large businesses. Bria Stretto provides Audian and its customers a fully partitioned environment that can be tailored to the needs of each individual enterprise.” Beyond the new softphone enhancements provided by CounterPath, Audian's technology platform is always backed by unmatched customer satisfaction, a unicorn in a telecom industry known for customer frustration, long wait times, and impersonal service. Audian’s focus is on increasing customers’ Telecompetance by leveraging the latest in software and technology to simplify the complexities once associated with telecom, giving back time and energy to focus on growing their business. About Audian Audian is a Unified Communications solution provider that helps businesses leverage modern day technology to help simplify the complexities once associated with telecommunications. Audian's unique approach caters solutions to the customer while automating many of the outdated, time-consuming tasks that have traditionally been associated with telecom. To learn more, please visit audian.com. About CounterPath CounterPath Unified Communications solutions are changing the face of telecommunications. An industry and user favorite, Bria softphones for desktop, tablet and mobile devices, together with Stretto Platform™ server solutions, enable service providers, OEMs and enterprises large and small around the globe to offer a seamless and unified communications experience across any networks. The Bria and Stretto combination enables an improved user experience as an overlay to the most popular UC and IMS telephony and applications servers on the market today. Standards-based, cost-effective and reliable, CounterPath’s award-winning solutions deliver high-quality voice and video calling, messaging, and presence to customers such as AT&T, Avaya, Bell Canada, BroadSoft, BT, Cisco Systems, inContact, Liberty Global, Metaswitch Networks, Ribbon Communications, Rogers, Uber, and Vonex. Visit www.counterpath.com and follow @counterpath.